the first Zappa vinyl bootleg release for 2009 has been spotted. A new limited edition is upon us, and this will make you smile. this was one fantastic show. There was a HUGE video screen behind TheResidents for this show, showing the DVD vids, and projecting live image plus a crazy light show that was part of the museum. This wasn't quite the same show that toured the rest of the world. And there were 5 cameras there to capture the show. AND< there are only 500 copies of this. So it won't last long. AND< there is a package deal, if you so desire, for only 125 of these, you can get the Icky Live DVD plus the Icky Flix Brain Bag! Not to mention, there are all of the new OFFICIAL PRODUCT hoodies andtees, plus polo tees and kids tees which won't be around for much longer. And lastly, if you TWEET, you can follow Ralph America now with Twitter. We're @ralphamerica - we'll be announcing small sales, some items thatare too small for a big email blast, daily discounts etc - so follow up! Dieter Jakob's second volume on Frank Zappa bootlegs is out! Expensive, sure, but rather limited (100 copies) and extremely well done. Heavy paper, lots of pictures and the most complete work around. 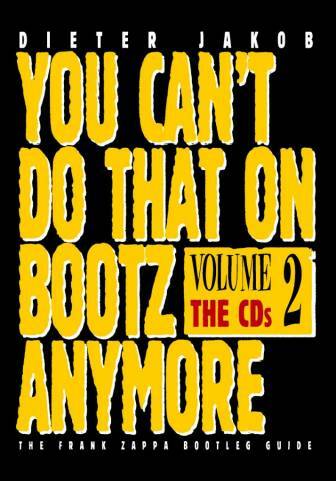 Volume two is all about the Zappa bootleg CDs: bootlegs, counterfeits, and more. For me, together with the first volume, this book marks the end of the bootleg era. The last couple of years, Corrie van Binsbergen (and her fine band) has teamed up with various writers for the "Writers In Concert" series: Kees van Kooten, Remco Campert and the fabulous Toon Tellegen just to name a few. 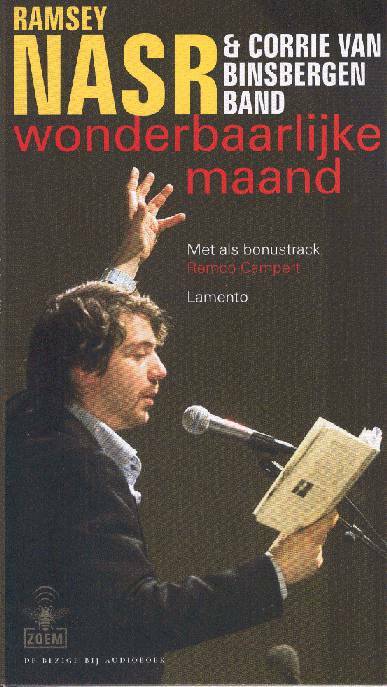 The latest addition in the beautiful batch of releases that came out of this concerts is "Wonderbaarlijke Maand", a cooperation with writer, actor, director & poet Ramsey Nasr. Again, an excellent mixture of of spoken word and beautiful music. As a little bonus, this disc also includes a fragment with Remco Campert, recorded at one of the Brokken evenings in Amsterdam. Due out on the german In & Out label: Live At The Paradox. If you want to practice your Dutch, don't hesitate to go to Marco's fine blog every once in a while. 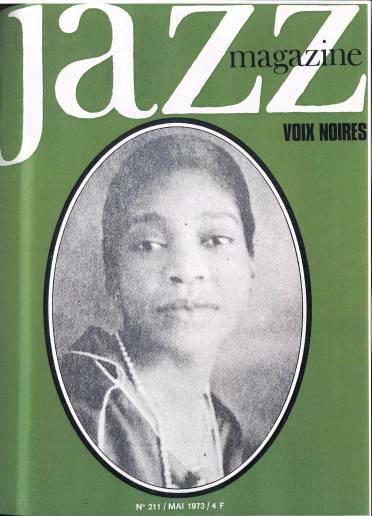 * "Jazz In Silhouette" has been rereleased on the Gambit label last february. 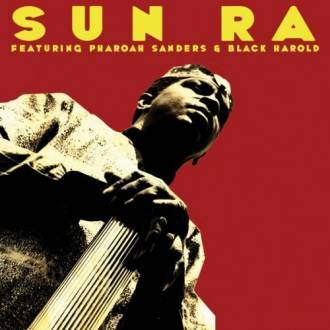 * And another re-release (scheduled for April) is the Sun Ra featuring Pharoah Sanders & Black Harold album. It will be out on ESP. Over at The Moving Tones, Dirk Wachtelaer replaced Ivo Sans on drums. Check out Dirk's work at FMR Records. 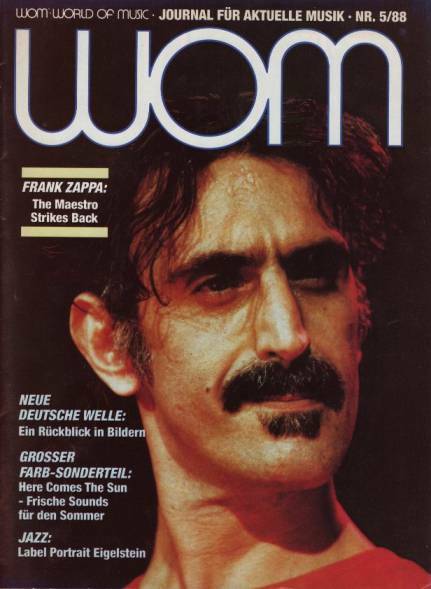 This issue of WOM included a 2-page article on FZ. 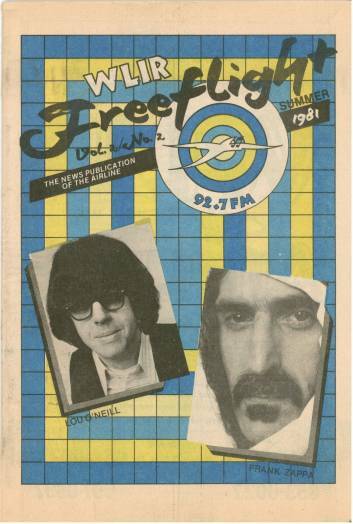 This issue of WLIR Free Flight included a 7-page interview with FZ by B.Manilla. 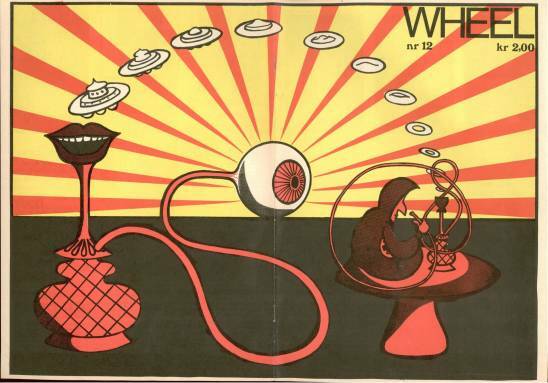 This issue of Danish magazine Wheel included a translation of a FZ interview from ZigZag '69 by D.Lawson. 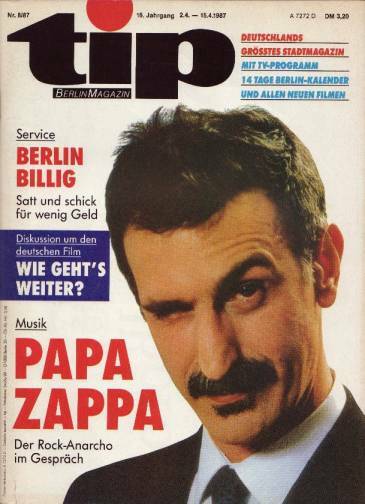 This issue of German Tip magazine included a 6-page interview 'Papa Zappa' by P.Amberg. 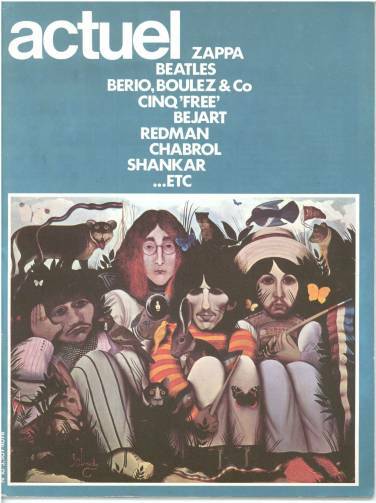 The November 1970 issue of U.K. 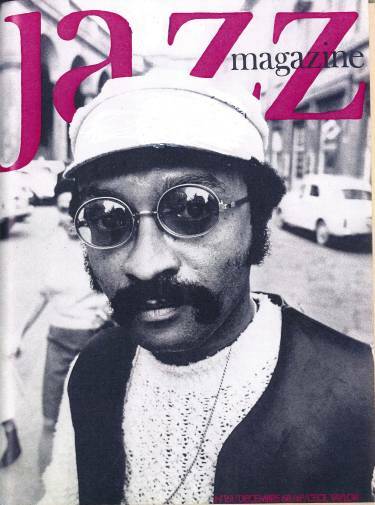 Sounds magazine included a 1-page interview entitled "The Great Satirist" by B.Dawbarn. 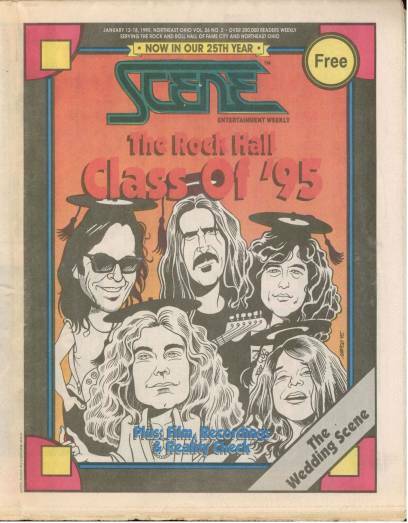 The January 1995 issue of The Scene has an article on FZ's induction in the r&r hall of fame. "Trank Zappa Grappa In Varese?" is the name of a Markus Stauss project. About a year ago, the band released "More Light", an album with compositions by Markus Stauss. More recently, the band released: TZGIV: "Play Zappa Live In Waremme 08", an mini- album with compositions by Frank Zappa. Warren Cuccurullo has a new album out. It's called "Playing In Tongues" and features Terry Bozzio (among others). Even more interesting is that it contains a 'new' Zappa piece. A chord progression that was part of Warren's audition for FZ in 1978. 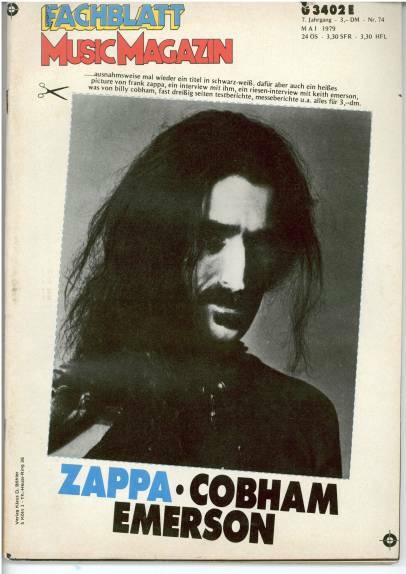 This north-east Ohio weekly magazine had FZ on the cover, and has 200 motels mentioned on back page. 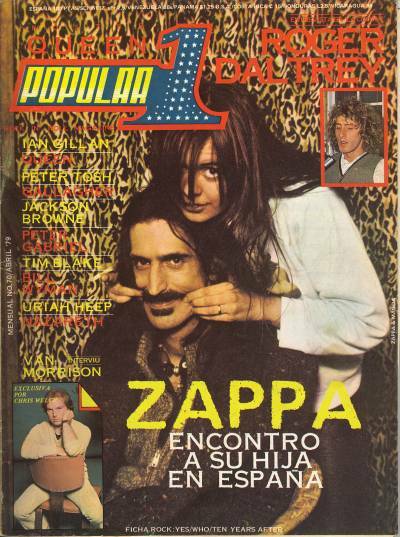 The April 1979 issue of Popular1 included a 3 page article on Frank Zappa by R.Porta with interview by M.Bonet. 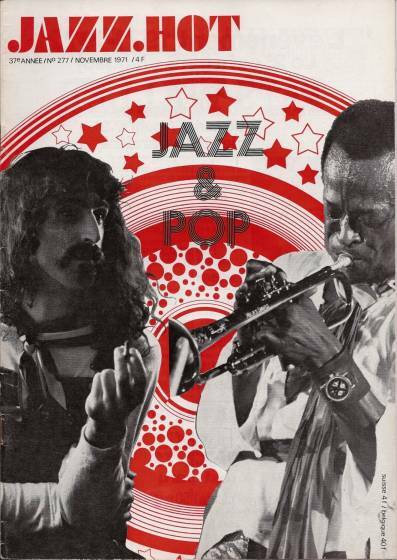 The November 1971 issue of Jazz Hot magazine had FZ on the cover, and an article on jazz & pop. 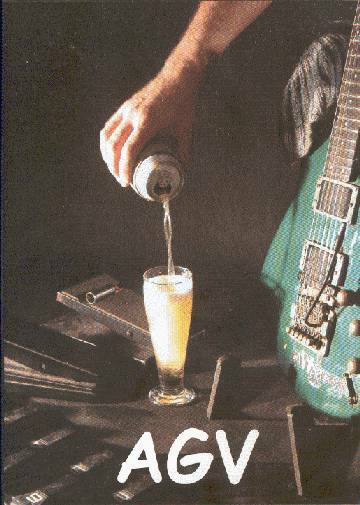 The February 1991 issue of French Guitar World magazine included a 6-page article by H.J.Kullock plus a 1-page transcription of 'Five Five Five'. As I write we have completed the first two dates of the tour with terrific audience response- encores at both gigs, in Barcelona and Koln (Cologne), and playing Groningen tomorrow and then moving on to France. Only one promoter cancelled us, in Rotterdam, unfortunately. That hurt us a lot financially, but we love this music and want to play, so we decided to go on the tour anyway. And people seem to be digging it. 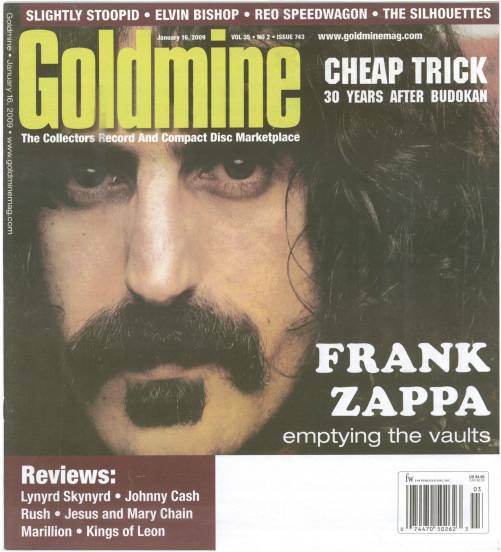 Issue number 743 of Goldmine magazine included a 5-page article on Frank Zappa: "Peek Inside The Vaults" by W.Romano". The may 1979 issue of German mag Fachblatt included an 8-page interview by S.Rosen (a translation of the 1977/01 Guitar Player interview). 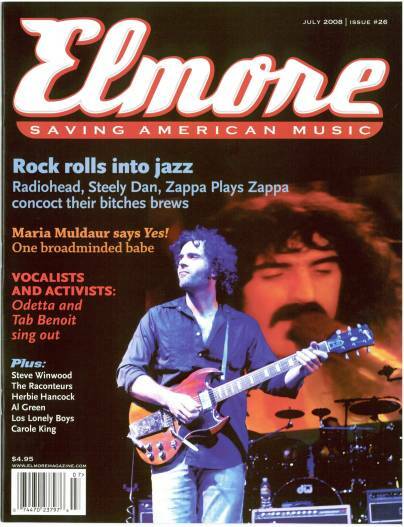 The July 2008 issue of Elmore included a 6-page article 'Days of the expanding (jazz) man' by I.Kantor, plus 1-page DZ on FZ's jazz. Gary will not be appearing. Unfortunately he will have to lay off playing for a while. But he will make a full recovery. It's not yet clear how long he'll be out of action, but he can't make the tour. He's very bummed about it! We are still planning to do the tour, with Pat Irwin on guitar. We are still waiting to hear resolution of all the gigs, as some promoters want to cancel the gigs if Gary is not able to play. However, Gary has urged us to do the tour, and we are working very hard to get Pat in shape. I think he's going to do great. So, as far as I know, it is still in limbo, but we hope to do all of the gigs. If too many promoters cancel, we of course will have to cancel, but that is not our wish. 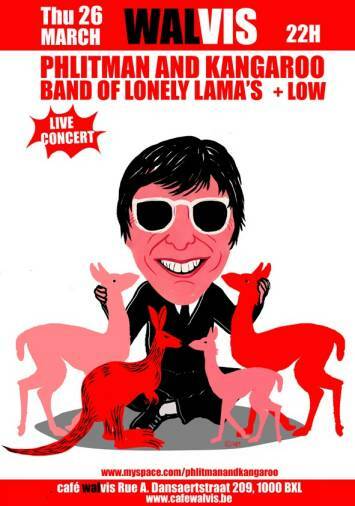 While Gary is undoubtedly the star soloist of the band, there are a lot of other good reasons to see Fast 'N' Bulbous: the arrangements, the many other formidable musicians in the band, who are quite well-known and well-regarded in their own right, and the great music of Captain Beefheart. Also, as I live in Australia and am not able to come north very often, I can't say when the band will be able to perform live again. Possibly someday after Gary's recovery, but also possibly never. It's all hypothetical. But it's possible that this could be the last chance to hear the band live in any form. So I am urging the promoters not to cancel us. I hope you can spread the word, and if any fans are in areas near the venues and want to come, please ask them to contact the venues and show support. It would mean a lot to us, and to Gary. Thanks for your interest and support! And thank to those who are interested in our music! 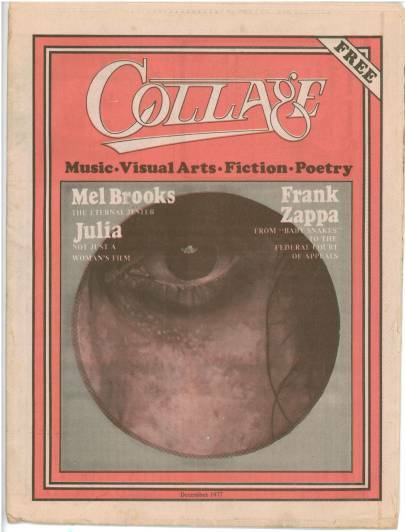 The december 1977 issue of this Silicon Valley publication included a 2-page FZ interview by M.Branton. 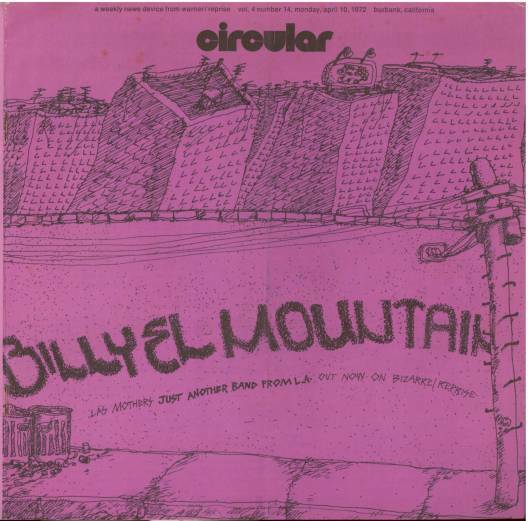 This particular issue of Circular had the "billy el mountain" cover and included Beefheart news. 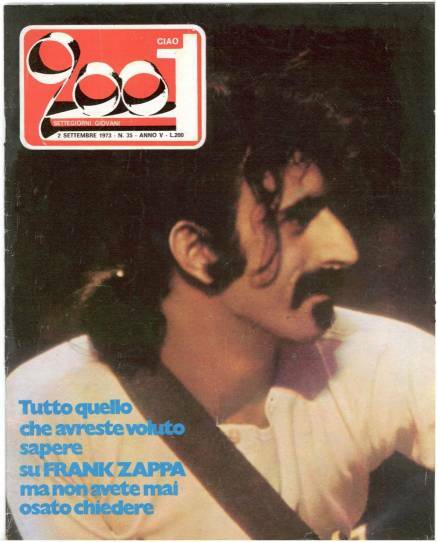 Ciao2001 number 35 included a 16 page article on the Zappa / Mothers Of Invention history (up to Chunga's Revenge) by D.Salvatori. Chitarre number 73 included 13 pages of interview with FZ and partial transciptions of 'Shut Up 'N Play Yer Guitar', 'Ya Hozna', 'Big Swifty' & 'Stevie's Spanking' by M.Resnicoff. 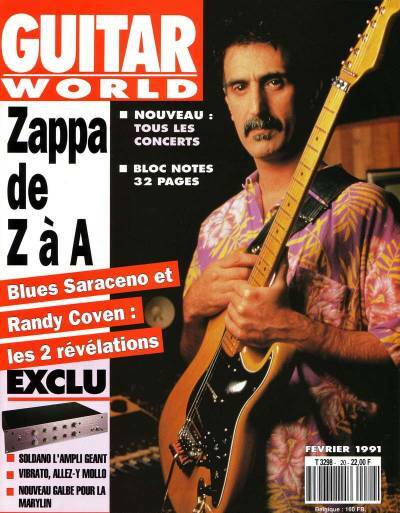 Actuel number 10 included a 5-page article 'Zappa! Hier Aujourd'hui Demain' by Rolf-Ulrich Kaiser. After Crying wrote a Zappa tribute. 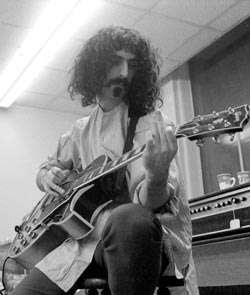 It was called 'Homage To Frank Zappa' and was performed live in concert. 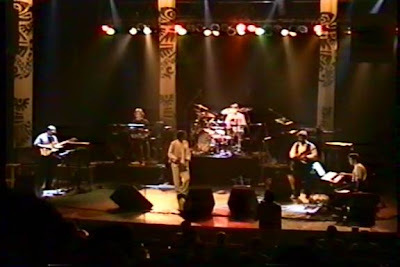 The band's March 6, 1999, concert at the BajaProg 1999 festival in Mexicali, Mexico included the above mentioned piece. A video recording of this concert circulates and is available on DimeADozen. The picture is taken from BajaProg 1999 recording. 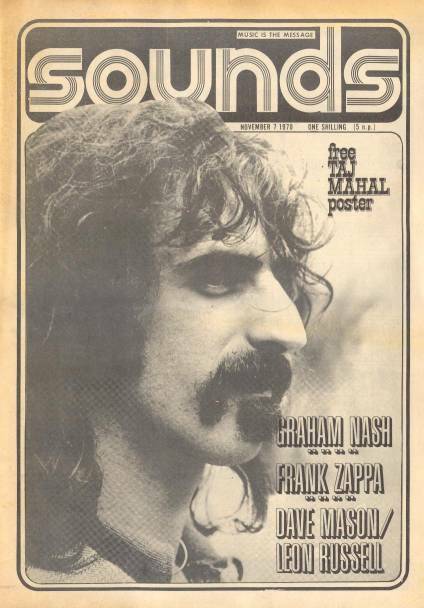 The May 1973 issue of French Jazz Mag included an article on Zappa's "Hollywood Palladium show" from March 27, 1973. 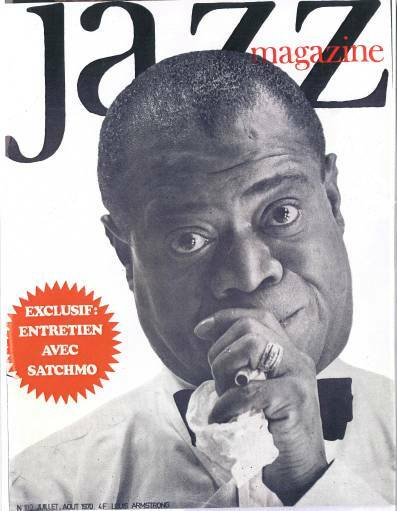 The July 1970 issue of French Jazz Mag included an article entitled "Amougies in two films". There is an interesting phrase on how FZ introduced Captain Beefheart at the festival:"Listen well, even the silence, for fear of missing something important". The December 1968 issue of French Jazz Mag included a review of the Mothers' concert at the Olympia in Paris - October 26, 1968. Fattore Zeta has a new album out. 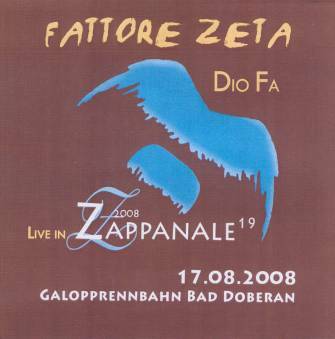 "Dio Fa" captures Fattore Zeta's Zappanale concert from last year. It was one of my favourite concerts. Zappa and Jazz, an excellent combination. I haven't heard the actual album yet, so there'll be more info soon, I hope. Anil Prasad did a fine interview with Leonardo Pavkovic, the man behind the MoonJune Records label. Guitarist Filippo Bellavia is the father of Martin, Ruben and Emanuela. Martin and Ruben are part of Ossi Duri, the italian band that has recorded several albums playing the music of Frank Zappa. 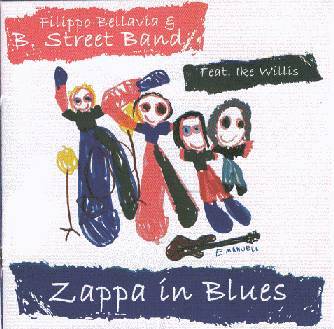 Together with his sons Martin (guitar) and Ruben (drums), and with the help of Simone Bellavia (bass), Filippo recorded "Zappa In Blues", and album on which he plays a number of bluesy Zappa compositions. Guesting on 'Bamboozled By Love', is former Zappa-sideman Ike Willis.
" 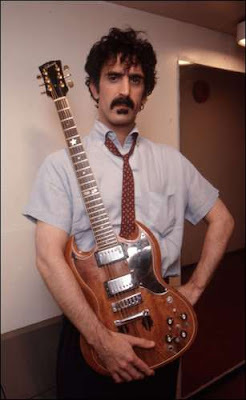 Zappa In Blues can be said to be the fruit of my 'compulsive-obsessive disorder' ". The result is great. This album shows that Zappa knew his blues classics, and that he could write a nice bluesy track himself. Filippo and his B. Street Band made a nice selection and did a great job performing these tracks. March 7, 2009, Scott turned up / took the stage at the Zappa Plays Zappa concert in Santa Rosa and played the bass during 'Willie The Pimp'. 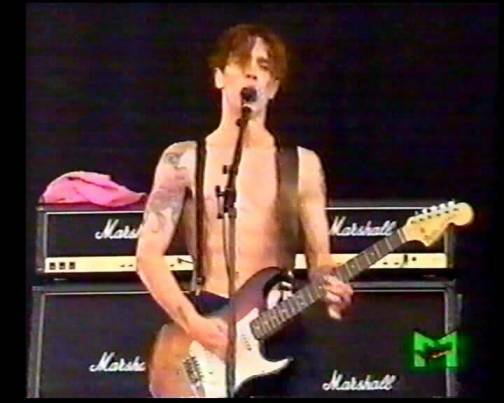 The above picture shows John Frusciante playing 'Inca Roads' at Pink Pop. "Igor's Transylvanian Ballet Music", a 1LP album that will be available in 5 different vinyl colour versions as well. Chumbawamba contributed Frank Zappa's 'What's The Ugliest Part Of Your Body' to a 7" EP on the Dump Records label in 1994. 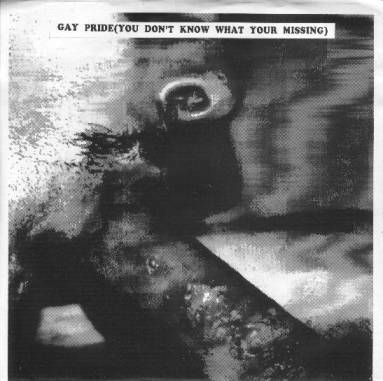 The EP was called "Gay Pride (You Don't Know What Your Missing)". Quinta dia 19 de março,no auditório do Sesc Vila Mariana, Rua Pelotas141, tel.5080.3000, às 20,30hs, ingressos R$12,00. 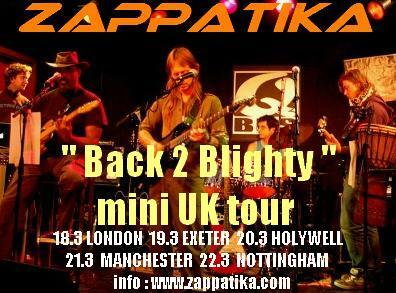 Whilst ZAPPATiKA is working on the next "big" studio album STRICTLY FRANKLY to follow on from their September 2008 release THE SHORT BUT LEGENDARY FLIGHT of the DODO ..... they are releasing what they call a "coincidental cheep and nasty Live CD", called LIVE AND KICKING on Monday 16 March to coincide with the forthcoming UK and German tours. The CD will be on sale at all gigs and also thru the bands Myspace and Reverbnation sites from next week....and the price ? A staggeringly cheeeep and nasty - FIVE ...yes,... 5 pound-euro-dollars only !!! get it while its hot ! 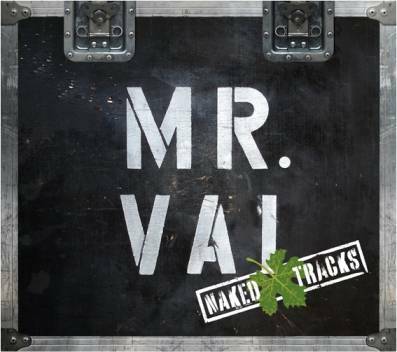 Steve Vai's "Naked Tracks" box arrived earlier this week. Steve Vai goes karaoke, as this box contains 5 CDs with backing tracks from 7 of his albums. I admit that it is a bit strange to listen to backing tracks of classic guitar tunes such as 'Answers', 'Touching Tongues' or 'Lotus Feet', while noodling the guitar melody line. And, yes, this box is only aimed at musicians that want to play along, but on the other hand, these albums do show that Steve's compositions are so much more than 'just' a lead guitar melody line. Available through Vai dot com. The Belgian group Univers Zero is legendary for its ominous, unsettling and uncompromising musical vision – a sound and stance that Keyboard describes as "Chamber music for the Apocalypse." Simultaneously medieval and modern, its distinctive, dark, and elegantly beautiful instrumental music fused classical and rock musics to give birth to an unprecedented and remarkably prescient new musical genre called "chamber rock". UZ's singular sound derives from its unque instrumentation (classical acoustic and electric rock instruments, and electronics), combined with brooding gothic imagery, elements of European folk and other world musics, the iconoclasm and intensity of rock, the relentless sonic experimentation of the avant-garde, and leader/ chief composer/ drummer Daniel Denis' classically inspired writing style, influenced by early 20th Century avant-garde classical composers. The band has remained on the cutting edge of New Music throughout the course of a career that began in the '70s – it was one of the 5 founding bands of the “Rock In Opposition” movement [a European coalition for alternative music] – and continues today, stretching and disintegrating the boundaries of classical and rock music alike to create a new, vital and unique fusion.Today, several decades afer Univers Zero first forged its unique "chamber rock", critics cite its oeuvre as the precursor to the best avant-garde rock and classical music of the present day, from 'post-rock', associated with Godspeed You! Black Emperor, Kayo Dot and other instrumental rock bands – to the numerous late 20th/early 21st century classical chamber ensembles who are integrating rock into their repetoire, such as Bang on a Can, Kronos Quartet and others. March 9, 2009, the Chicago Ate (or) The Utility Muffin Research Kitchen Employees' Union Memorial Band (Chicago Chapter) presented "JOE'S GARAGE" at the 'Martyr's' club in Chicago, IL, usa. A recording of this show is up for grabs over at the Zappateers site. 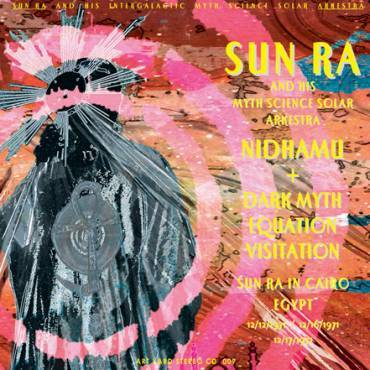 Originally released on Sun Ra's Saturn label in 1971 and 1972, "Nidhamu" and "Dark Myth Equation Visitation" have now become available on CD on the famous Art Yard label. Check the full story of these recordings, the band's trip to Egypt & the concerts they did over there, somewhere down here in this blog, or over at the Art Yard myspace page. The recordings itself are fabulous. This is as far-out as it can get. Like nothing I've ever heard before. I've been listening to it with my eyes closed, and all I can say is: "Unbelievable". The 20th anniversary of Zappanale will be celebrated by an international gathering of musicians, artists and music fans for almost an entire week. The festival will kick off on the 11th of August, 2009, in the St.Katharinen Kirche in Hamburg where german band Sheik Yerbouti will team up with Napoleon Murphy Brock for a „live and unplugged“ session. Wednesday, the 12th and Thursday the 13th will have the famous „Streetparty“ in downtown Bad Doberan. Starting at 2 pm in the afternoon, the streetparty will be the place where you will be able to see various bands performing, where movies will be shown, and where you can listen to lectures by concert promotor Fritz Rau and legendary movie maker Rudi Dolezal. Camping and parking is included in ticket price. The campsite will be accessible from 12.08.2009 on. The tickets are valid for all 5 days in Bad Doberan, excluding the events in the cinema. Récemment débouté d'une première plainte, le Zappa Family Trust vient d'en déposer une deuxième contre la Arf Society, l'association allemande qui organise le festival Zappanale. nous appelons à BOYCOTTER le concert de Dweezil Zappa et de son groupe ZPZ, le 18 mai à l'Olympia, à Paris. En revanche, nous vous suggérons de venir nombreux à celui des Peach Noise,le 27 mars sur la péniche Antipode à Paris, où ils se produiront avec un répertoire renouvelé. Visitez www.lesfilsdelinvention.net pour plus d'informations sur le contenu de la plainte et sur d'autres trucs vachement intéressants. Pensez à y laisser vos commentaires. Just after last month's dismissal of the case of the ZFT against the Arf Society, the ZFT is back with a new complaint against the organisers of the Zappanale Festival. we ask you TO BOYCOT the concert that Dweezil Zappa and his band ZpZ will be doing on the 18th of May at the 'Olympia' in Paris. We would like to suggest to visit the Peach Noise concert on the 27th of March at the 'Antipode' in Paris, where they will be performing material by Frank Zappa. Visit www.lesfilsdelinvention.net for more info. Think about it! And let us know your thoughts. The french Zappa community is calling for a boycot of the Zappa Plays Zappa concert of May 18, 2009, in Paris !!! They are sick of the attacks of the ZFT towards the bands that play Zappa's music; they are tired of the attacks of the ZFT towards the Arf Society. A press release will follow later today. If my french is still any good, a "péniche" is a boat, a coaster. The Mar Vista Philharmonic recorded a Zappa tribute for a BBC broadcast in 2003. The band has a release scheduled on Jon Larsen' s Zonic Entertainment records. The tracks for this forthcoming album, "No Forest Fire", were recorded in 2002. Fast 'n' Bulbous guitarist Gary Lucas has broken his arm !! If you were going to see them, you'd better check with the venue. Marco just mentioned that the Rotterdam gig got cancelled. This time, it's Frank with his SG guitar. We were confused by Bunny's ebay list, and left off one item. That item is now listed (the fish rug). Boy, did we get an earful today when he found out. Also new on Ralph America...Official Product wear. The new Official Product logo never got a proper garment here at Ralph, so now you can grab one. On either a tee or an American Apparel black hoodie. Yummy. Have a kid? Or a friend with a kid? A neighbor with a kid? A kid with a kid? We have a new kid's eyeball tee (not the classic eye, another one).Recommended for the playground, softball scrimmage and jumprope. Lastly, because many of you have asked...a new polo, collared shirt is here! Slate color, small eyeball, lots of class. And if you haven't been watching...Bunny (or Roger) is getting juicier by the episode. http://residents.com/bunnyboy - and this Friday Bunny's eBay auction items will be ending. Check them out, with 60 items, yer bound to find something you'll like! 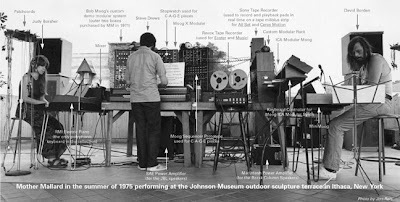 Morton's Object is a one-concert-project. Ramsey Nasr & Corrie van Binsbergen Band: "Wonderbaarlijke Maand". Stories written and read by Ramsey Nasr ; music by Corrie van Binsbergen and band. out on De Bezige Bij. Rainer Tankred Pappon was born in the city of São Paulo, 1961, and he plays guitar and bass. He grew up listening to the good sounds of the 70's, such as Frank Zappa, King Crimson, Egberto Gismonti, Mahavishnu Orchestra, Hermeto Pascoal, Focus, Yes, Gong, Jeff Beck and others. He has played with many Brazilian artists and also plays the lead guitar in The Central Scrutinzer Band, a band from São Paulo, Brazil, that performs the music of Frank Zappa. Look a bit below for a review of their first and brand-new "Live In São Paulo" DVD album. "O Alemão Da Guitarra Verde", or "AGV" is the latest release by Rainer Tankred Pappon. For "AGV", RT teamed up with his brother Jimmy, and with a bunch of his friends from the Central Scrutinizer Band. 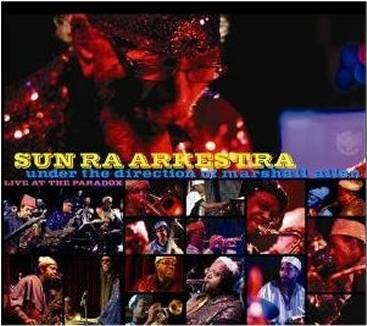 The result is an eight-piece band perfoming Rainer Tankred's compositions. The result is a a video recording of an excellent concert, spiced up with some rehearsal fragments. The material still sounds fresh, and the arrangements for the 8-piece bands sound a lot like Zappa's 1988 band. I love it. RT doesn't have to convince me, I was already a fan of his music. After listening to "AGV" for the third time this last couple of days, I only hope that I'll be able to see them live one day !! With a new line-up , a new album out ,a forthcoming 'virginal' UK tour in March and then a tour of Germany ,ZAPPATiKA , a 6 piece international ensemble with a Brit front-man and all living in Amsterdam, are busy boys ! 18 March 2009 ZAPPATiKA play The Plough, Walthamstow. 20 March 2009 ZAPPATiKA play The Lodge, Gwespyr, Hollywell. 21 March 2009 ZAPPATiKA play Zappateers Party, Chorlton, Manchester. As you may know, the Bunny video series has started back up at http://residents.com and some stunning revelations are coming to light. In addition, Bunny (or Roger...) is trying to raise some money and has asked Ralph to put his valuables up on eBay. So they are up there now, if you are interested just search eBay for Residents and bunny boy, or do a search for all items sold by RalphAmerica. Bunny wrote all of the descriptions, so, good luck with figuring thoseout.